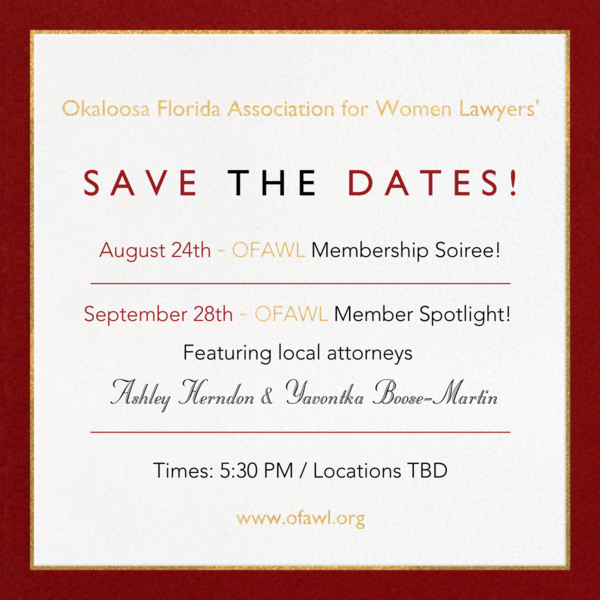 Okaloosa Florida Association for Women Lawyers (OFAWL) UPCOMING EVENTS! 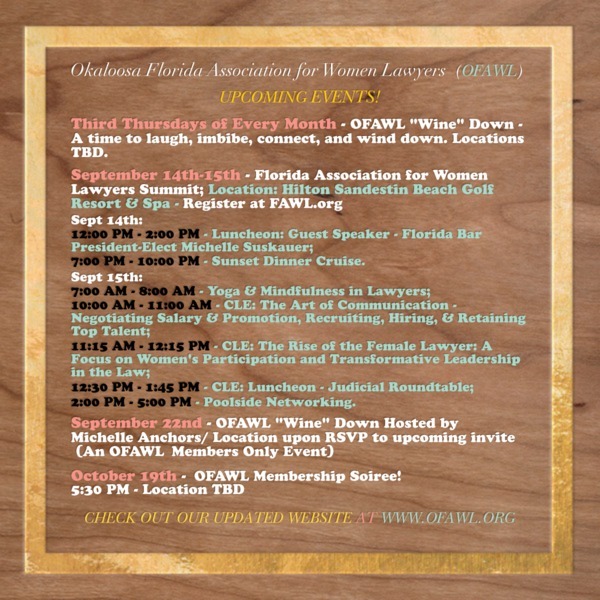 Third Thursdays of Every Month- OFAWL “Wine” Down – A time to laugh, imbibe, connect, and wind down. Locations TBD. OFAWL Swearing -In with Judge Mason!